Nourish bowl, hippie bowl, buddha bowl, rainbow veggie bowl, glow bowl — these are just some of the names given to one of the most prevalent current food trends. Search for any of those names as a tag on Instagram and you'll be treated to a kaleidoscope of images of hearty, wholesome meals in a bowl. The basic premise of the nourish bowl is simple to follow: build a layered bowl with a leafy greens base, add raw or cooked vegetables or fruits, include a protein-rich element along with some healthy fats, keep the carbs to a minimum, and then top with a final flourish with a dressing, seeds, or berries. 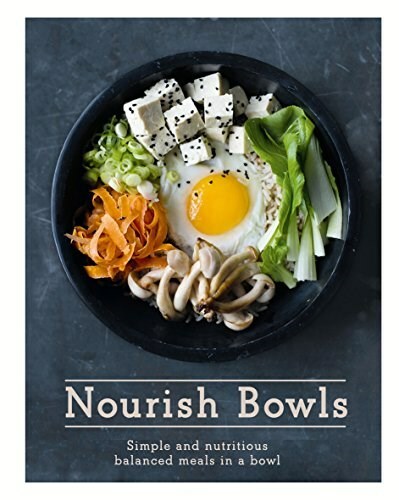 With countless combinations of vegetables, grains, meat, and fish, this book gives meal-time inspiration for creating inventive and delicious bowls of health-giving food. A nourish bowl can be quick and simple to prepare, with many elements being eaten raw. Every recipe is photographed, showing the beautiful finished nourish bowl, proving that eating well has never been so enticing or easy.